Injustice: Gods Among Us debuted at No.1 on all formats chart for the week ended April 20. The last fighting game to claim the top spot on the chart was THQ’s UFC Undisputed 3 back in February 2012. 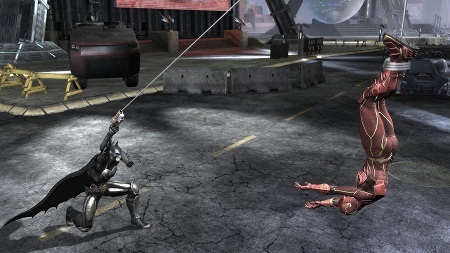 Injustice studio NetherRealm’s last game, Mortal Kombat, took the No.2 spot in week 16 of 2011, debuting behind Portal 2. Bioshock Infinite dropped to No.2, having spent three weeks at the chart summit, while 3DS exclusive Fire Emblem Awakening debuted at No.3. The game launched alongside a limited edition 3DS XL, which accounted for 31 per cent of all 3DS XL hardware sales last week, which were up 49 per cent over the previous seven days.